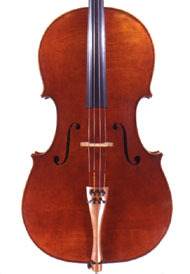 Violin:One of the Guarneri del Gesu model that we like to use is Paganinis il Cannone (the Cannon). 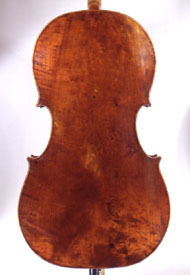 The original is in Genoa and is a strong compact shape with very rough woodwork and varnish. 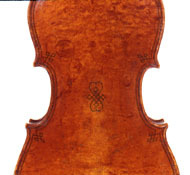 We especially like the work of Stradivari from 1709 to 1718 and make many of our violins using our copy of the original PG or Primo Grande form that still exists in Cremona. 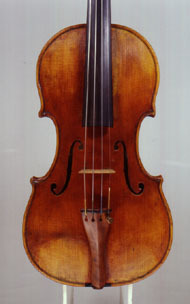 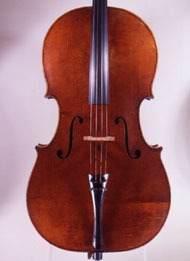 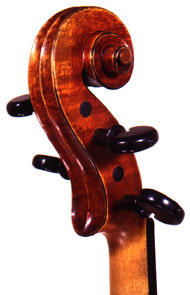 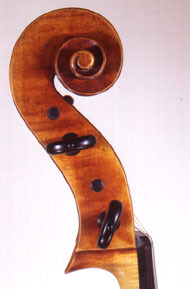 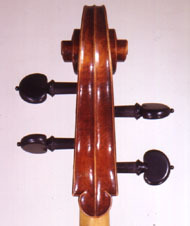 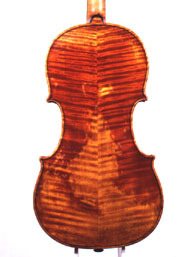 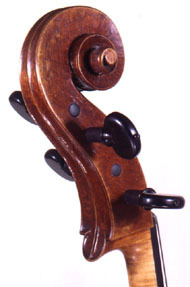 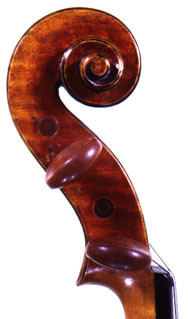 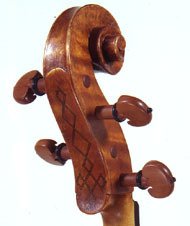 Side view of a 1992 Strad model which sold in Paris. 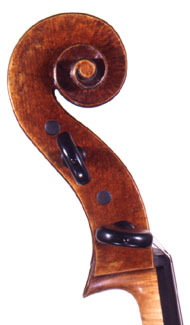 Silver medal 1994 Strad model. 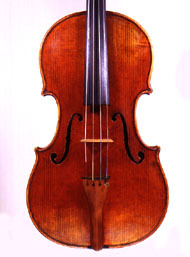 A free styled interpretation of a Brescian Viola circa 1600 owned by John Schoening of the San Francisco Symphony. 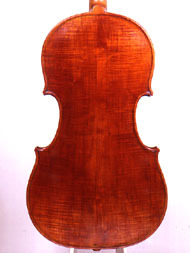 We have also used Andrea Guarneris violas which are similar in size. 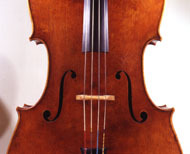 The lengths range from just 15 7/8th inch to 16 3/8th inches. 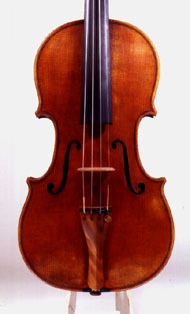 Ruth Freeman was the principal violist of the San Francisco Ballet Orchestra when she bought this small 15 7/8 Viola with a flamed willow back. 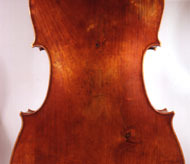 It is worked freely in the style of Guarneri del Gesu. 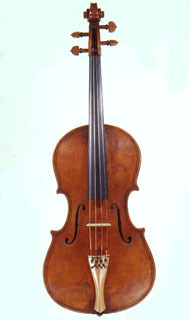 VSA Gold medal 1996 for this Strad model belonging to Joel Cohen with willow back complete with knots and marching pin. 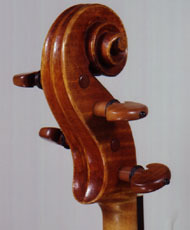 The scroll is of flamed pearwood, which is grafted to a maple neck. 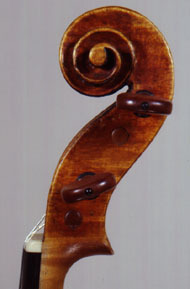 Back and sides of figured poplar with a head of beechwood in a late Cremonese style.